Although cognitive behavioral therapy (CBT) is highly effective in the treatment of anxiety disorders, many patients still do not benefit. This study investigates whether a history of traumatic event experience is negatively associated with outcomes of CBT for panic disorder. The moderating role of the monoamine oxidase A (MAOA) gene and depression symptoms as well as the association between trauma history and fear reactivity as a potential mechanism are further analyzed. We conducted a post-hoc analysis of 172 male and 60 female patients with panic disorder treated with CBT in a multi-center study. Treatment outcome was assessed at post-treatment using self-report and clinician rating scales. Fear reactivity before treatment was assessed via heart rate and self-reported anxiety during a behavioral avoidance test. Among females, we did not find any differences in treatment response between traumatized and non-traumatized individuals or any two-way interaction trauma history × MAOA genotype. There was a significant three-way interaction trauma history × MAOA genotype × depression symptoms on all treatment outcomes indicating that in traumatized female patients carrying the low-activity allele, treatment effect sizes decreased with increasing depression symptoms at baseline. No such effects were observed for males. In conclusion, we found no evidence for a differential treatment response in traumatized and non-traumatized individuals. There is preliminary evidence for poorer treatment outcomes in a subgroup of female traumatized individuals carrying the low-active variant of the MAOA gene. These patients also report more symptoms of depression symptomatology and exhibit a dampened fear response before treatment which warrants further investigation. The online version of this article (doi: 10.1007/s00406-017-0823-9) contains supplementary material, which is available to authorized users. This work is part of the German multi-center trial ‘Mechanisms of Action in CBT’ (MAC). The MAC study was funded by the German Federal Ministry of Education and Research (BMBF; project no. 01GV0615) as part of the BMBF Psychotherapy Research Funding Initiative. The study was further supported by the DFG (Grant RE1632/5-1 to AR, DE357/4-1 to JD, RTG 1256 to JD and AR, and SFB TRR 58 Z02 to JD and AR). 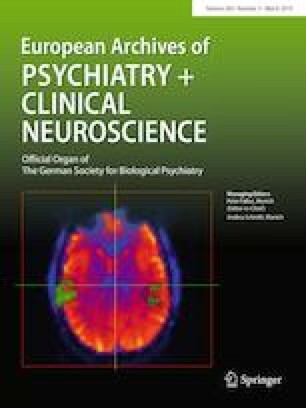 The principal investigators (PIs) of the centers with respective areas of responsibility in the MAC study were: V Arolt (Münster: Overall MAC Program Coordination), HU Wittchen (Dresden: PI for the Randomized Clinical Trial and Manual Development), A. Hamm (Greifswald: PI for Psychophysiology), A. L. Gerlach (Münster: PI for Psychophysiology and Panic subtypes), A. Ströhle (Berlin: PI for Experimental Pharmacology), T. Kircher (Marburg: PI for functional neuroimaging) and J. Deckert (Würzburg: PI for Genetics). Additional site directors in the RTC component of the program were GW Alpers (Würzburg), T. Fydrich and L. Fehm (Berlin-Adlershof) and T. Lang (Bremen). T. Töpner, N. Steigerwald, C. Gagel and J. Auer are credited for excellent technical assistance. All participants provided informed consent. The study protocol was approved by the Ethics Committee of the Medical Faculty of the Technische Universität Dresden (EK164082006). HUW has served as a general consultant (non-product related) for Lundbeck.